GTI Club: Supermini Festa! is based on the latest arcade iteration of the long-running series, and charges the player with racing a series of compact cars around a series of citiscapes across France, the UK, Italy, the US, and Japan. 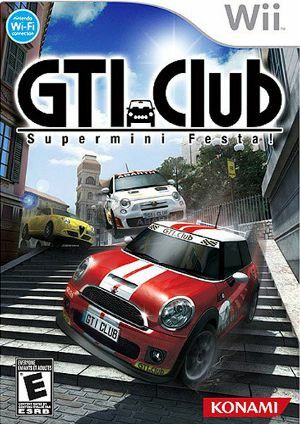 Everything about the game is geared towards searing speed and intuitive handling, with players tussling with CPU-controlled cars or their friends through busy streets as they attempt to be the first past the winning line. Random crashes occur in the Japanese release. The graph below charts the compatibility with GTI Club: Supermini Festa! since Dolphin's 2.0 release, listing revisions only where a compatibility change occurred. This page was last edited on 14 January 2018, at 11:34.